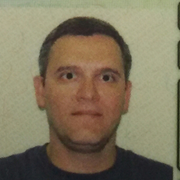 Cassio Porto Ferreira is currently working as a professor in UOswaldoCruz Institute, Brazil. His international experience includes various programs, contributions and participation in different countries for diverse fields of study. His research interests reflect in his wide range of publications in various national and international journals. Ken Sugata, Jennifer Hull, Houping Wang, Kimberly Foytich, Sung-Sil Moon, Yoshiyuki Takahashi, Seiji Kojima, Tetsushi Yoshikawa, Baoming Jiang. Is The Time Coming for Plant-Made Vaccines?